Former Military Administrator of Lagos State, Brid.-Gen. Buba Marwa(retd. ), has resigned from the Peoples Democratic Party. 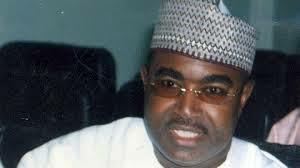 He recalled that before the emergence of the All Progressives Congress, Marwa was the governorship candidate of the Congress for Progressive Change in 2011 in Adamawa State.